Today, Link helps your end-users quickly find and link their accounts at over 9,600 financial institutions. Though most users find their institution right from the Institution Select view, many end up searching through the thousands of mid-size to small banks and credit unions we support. 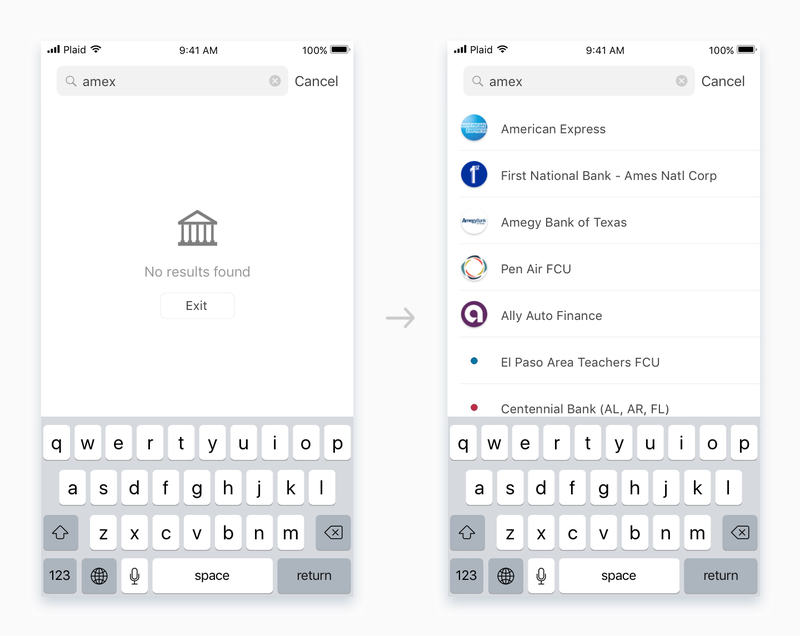 We’re excited to share some updates and enhancements to search that will help your users find their institution more easily with Link. Typos are common, especially on mobile, so with this update we wanted to make sure that spelling mistakes were easily resolved and elegantly handled. 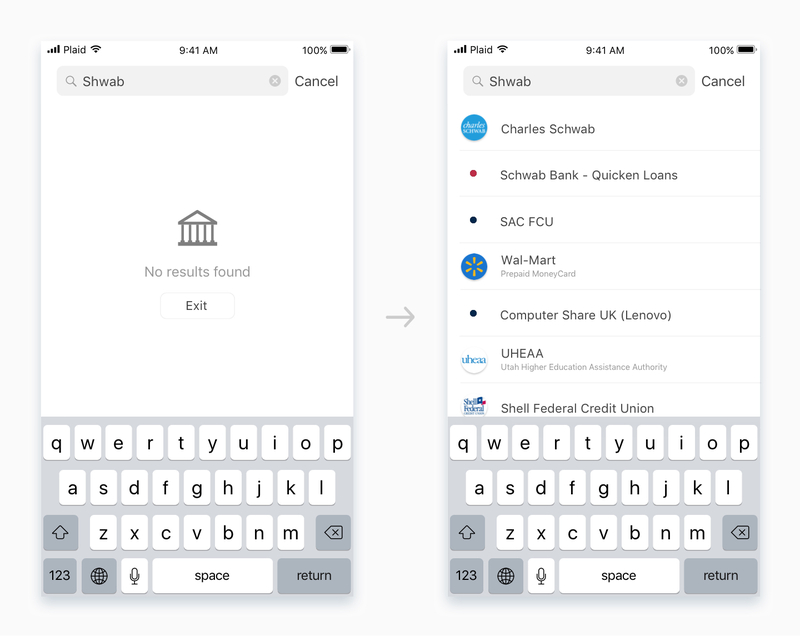 If an end-user searching for their bank types in “Shwab,” we’ll recognize that as Charles Schwab, saving your user time and frustration. In addition to the revamped search functionality, we’ve also been working on adding branding elements for more of our supported institutions. This means you’ll see logos and brand colors for even more institutions in Link so that end-users feel a greater sense of security and familiarity when they recognize their institution’s look-and-feel. With these improvements, users will more easily be able to search for and find their institution, ultimately resulting in more conversions and a better user experience.